Our program truly is "Compensation Plus." We strive to bring the greatest financial benefit possible to employees who are already investing their own money on items and services that enable them to do their job. No matter what, dedicated employees are spending money out of their own pockets to benefit their employer, the employer's clients and are making themselves a better employer. Watch our Overview Video or read more about How It Works. CP+PLUS is focused on making sure those employees receive the maximum take-home pay by making those purchases on a tax-free basis. By allowing employees to allocate that portion of their wages they are spending on job-related expenses and converting that money into the CP+PLUS reimbursement plan, employees save the payroll taxes on the cost of items such as monthly cell phone bills, work-related supplies and tools, association dues, continuing education, home internet, and many others — saving the employee hundreds to thousands of dollars on payroll taxes over the plan year. CP+PLUS believes that every employee should get every tax break they are allowed to have on job-related business expenses. Why not, their employers do! Effective January 1, 2018 — the new Tax Plan eliminated unreimbursed employee expenses for taxes. Employees spend hundreds to thousands of dollars each year on their job to benefit their employer and now cannot even deduct the expenses on their year-end tax return. New tax law supports Accountable Reimbursement Plans for those employees with out-of-pocket expenses, which is why the law eliminated deductions. While executive level employees are often reimbursed, the cost of maintaining the processing often does not allow the benefit to be extended to all employees. 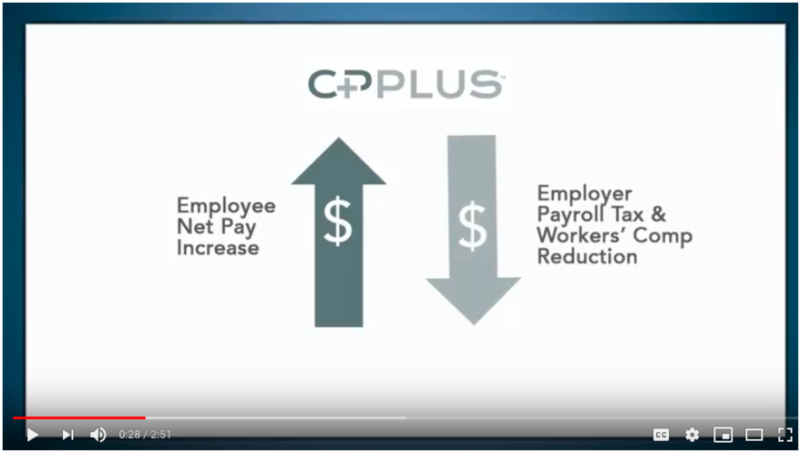 The good news is CP+PLUS allows all employees from any type of business the benefit of coverage, along with employee education for adoption of the progam, easy submission methods, record-keeping accountability and streamlined payment. Staying up-to-date on changes in tax laws and "write-offs" has certainly been vital in our industry. Not to worry, while we provide seamless reimbursement through payroll to employees, we take all the receipt validation and record-keeping off your hands, so you can focus on other areas of your business. For greater detail on tax history, read more from our Tax Experts. Our team of experienced benefit managers will provide you a program overview unique to your business. A paycheck comparison will clearly demonstrate the financial benefits to you and your employees. The enrollment meeting is our team meeting with yours. We provide custom materials for your organization and a list of suggested personal expenditures to ease estimation of annual spending. We act as business partners, an extension of your team - readily available for individual questions as well as providing 24/7 capabiities to add expenses through a mobile application and/or personal web portals. To receive your personal assesment and understand how the CP+PLUS Progam can benefit you and your employees, contact us today.